Which Ratio is Faster: 4.11 or 3.90? An axle’s ratio describes the number of turns required by the driveline to turn the wheels once. Technically, ratios should be written as 3.90:1 , which means the driveline turns 3.9 times for every one turn of the wheels. So, the lower the axle ratio, the faster the truck will move. 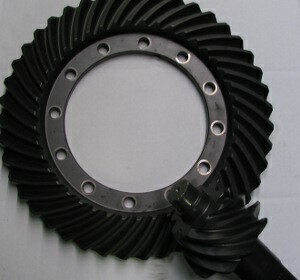 An axle’s ratio is determined by the number of teeth on the ring gear and the pinion gear. 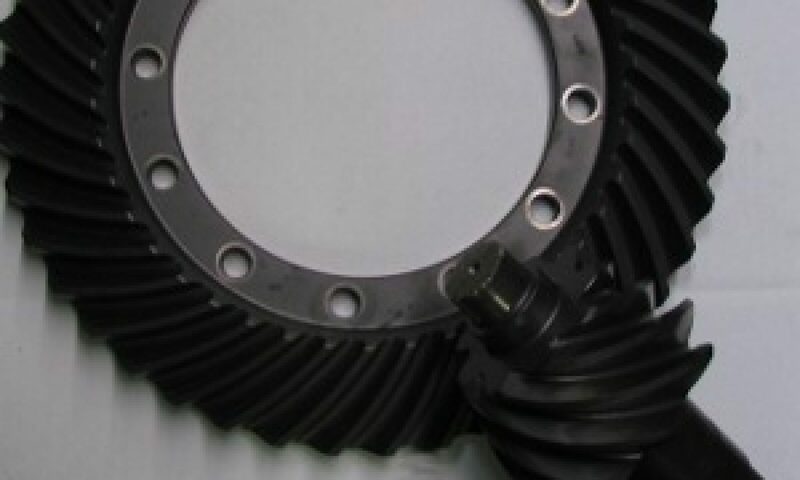 If you divide the ring gear tooth count by the pinion gear tooth count, you get the ratio of that gear set. Which Axle Drives the Truck? 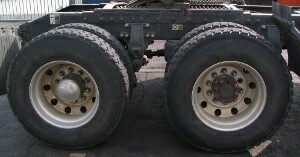 Many heavy-duty truck have what is referred to as tandem axles. That is, there are two axles with differential assemblies, one is just an ordinary differential and the other has a power divider attached. There is a lot of confusion about which differential is working when. We’ve heard arguments from people saying it’s the front, or the rear. The answer is: both of them are working all the time. Both axles drive the truck, just like both the left and right tires drive a rear-axle pickup truck — as long as there is no loss of traction. When the differential or power divider lock is engaged, each axle now drives the truck whether the other axle has traction or not. Later axle models may also include wheel differential locks so that each wheel will turn, regardless of traction conditions. A not of caution: driving on a surface with good traction (like a road) with the differential lock engaged is a sure-fire way to dust one or both of your differentials. The power divider contains a nest assembly that compensates for minor variances in tire wear. Locking the axles disables this compensator, which will cause damage to one or both of your axles. And never lock in your axles when one wheel is free-spinning. In fact, it’s safest to lock in your axles when the truck is stopped.